There are 2 Mission End Tables available for placement on the Welcome Center Deck facing the Entry Garden. The table inscription is limited to 13 characters including spaces on the first table top board. 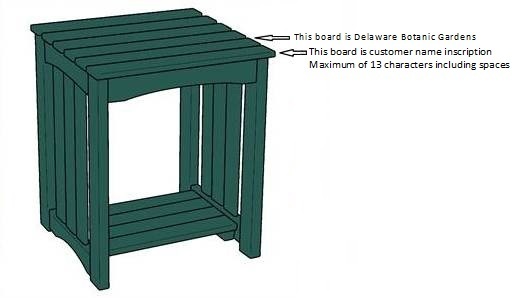 “Delaware Botanic Gardens” will be engraved on the second table top board.